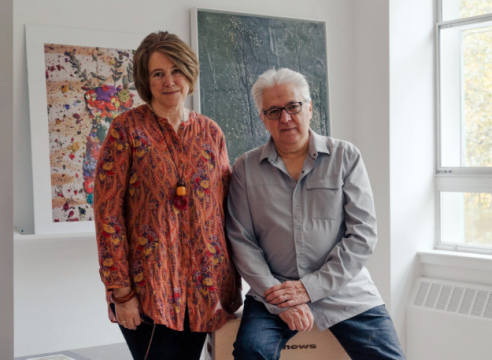 Edwynn Houk Gallery is pleased to present an exhibition of recent work by Abelardo Morell (American, b. Cuba, 1948), which marks the artist's third one-person show at the gallery. 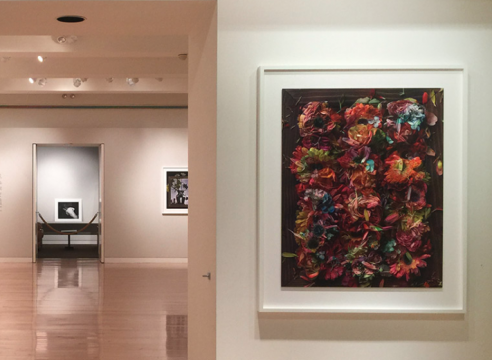 The exhibition consists of 20 large-scale photographs from his series "Flowers for Lisa," which is comprised of variations on the theme of floral still lifes. 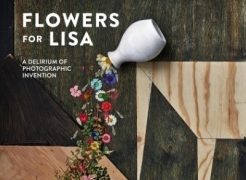 "Flowers for Lisa" is titled after and dedicated to Morell's wife of over 40 years, Lisa McElaney. The artist will be present at the opening reception on Thursday, 9 March from 6-8pm. 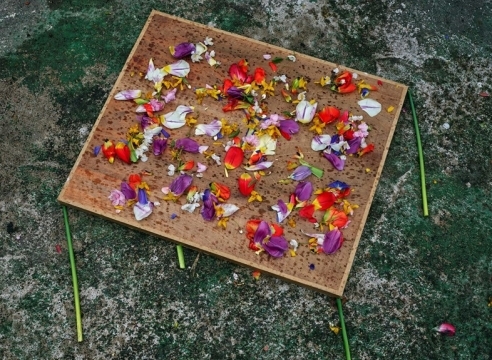 In 2014 Abelardo Morell made a photograph of flowers for his wife's birthday. What started as an ordinary bouquet, set up in a vase in the artist's studio, became the impetus for an investigation into the depiction of floral arrangements throughout the history of art. Morell shot the same bouquet many times, rearranging it over and over in the same vase, and photographing it repeatedly. After making over 20 photographs of the various arrangements, Morell digitally compiled the multiple exposures, letting the computer software try to make sense of the chaos of imagery to form one image. 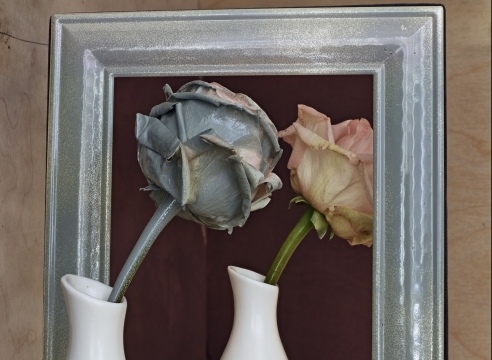 The resulting photograph, "Flowers for Lisa, 2014" is a demonstration of the passage of time that challenges the very definition of a still life (a picture consisting predominantly of inanimate objects). This single picture captures the transformation of freshly cut flowers into bending, wilting stems. 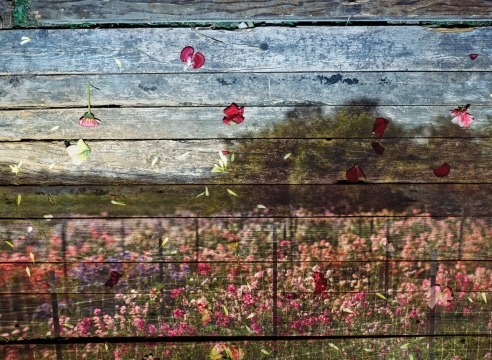 Eventually losing their petals, they form puddles of color that twist into the wood veneer of the artist's work table, dissolving and disappearing before our eyes. "I had no idea a series would follow. However, something in the making of that first photograph gave me a newly found spark to experiment in ways I had not done before." 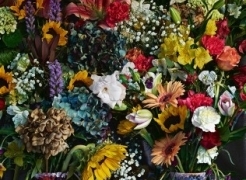 Morell continued to photograph flowers, in part because they are both common and familiar, but also because they have been among the most conventional subject matter in the history of art. 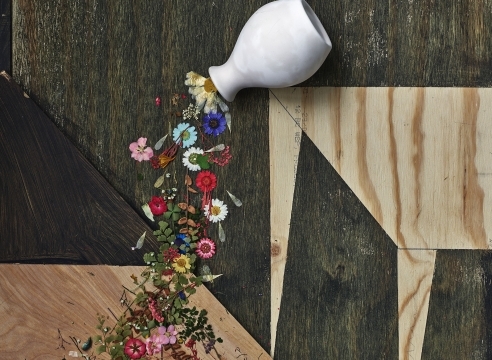 It became his challenge to represent flowers in unique and inventive ways. Morell utilized all of the "opportunities that are possible in making art" by experimenting with techniques of painters, sculptors, print-makers and photographers to create a new narrative. 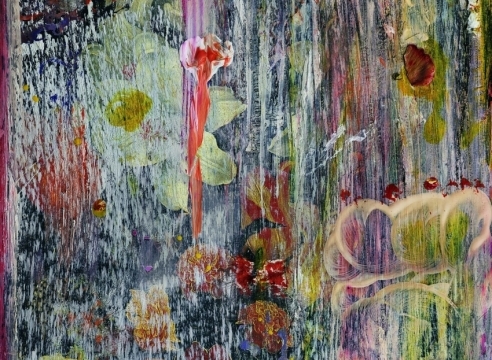 Inspired by Jan Brueghel, Giorgio Morandi, Édouard Manet, Georgia O'Keefe, Irving Penn and Joan Mitchell, the artist has created an entire series of unexpected still lifes. 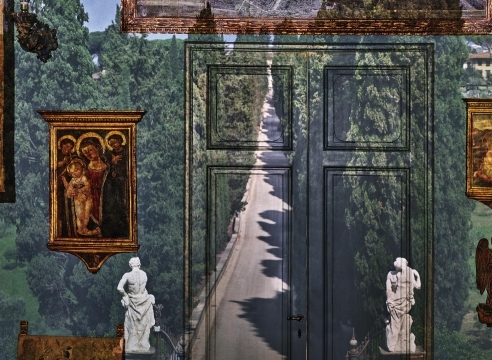 Abelardo Morell holds an MFA from Yale University and a BA and honorary doctorate from Bowdoin College. He also received an honorary doctorate from Lesley University in 2014. In 1993, he was awarded a Guggenheim Fellowship. Until 2010, he was a full-time professor of photography at Massachusetts College of Art, where he continues to work with graduate students. 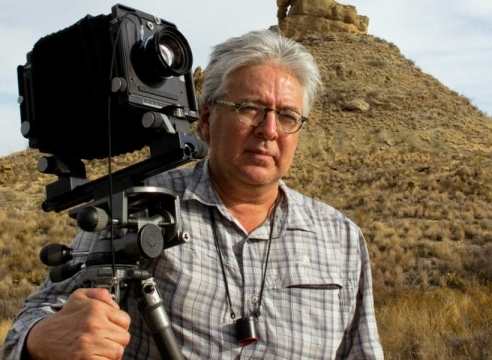 Morell was the recipient of the International Center of Photography’s Infinity Award in 2011. In 2013, Morell was the subject of a retrospective entitled, “The Universe Next Door,” organized by the Art Institute of Chicago, which traveled to the Getty Museum in Los Angeles, and the High Museum in Atlanta. His work is in numerous private and public collections, including the Art Institute of Chicago, the Fondation Cartier, Paris, the Metropolitan Museum of Art, New York, San Francisco Museum of Modern Art, Victoria & Albert Museum, London, and the Museum of Modern Art, New York, amongst others. Abelardo Morell lives and works in Boston, Massachusetts. 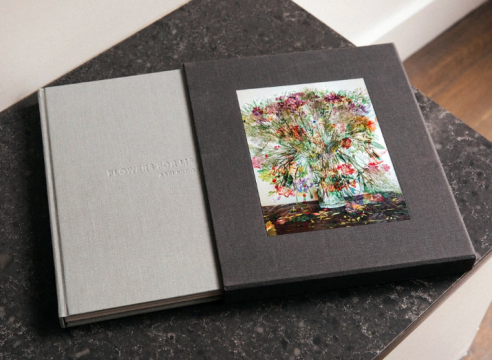 When Abelardo Morell decided to turn a floral bouquet into one of his celebrated photographs as a birthday gift for his wife, little did he know that this touching gesture would evolve into a major series of his work and become the subject of his forthcoming coffee-table book. The Lucie Awards is the premiere annual event honoring the greatest achievements in photography. Each year, the Lucie Advisory Board nominates the most outstanding photographers across a variety of categories. Abe Morell is the 2017 Honoree in the Achievement in Fine Art category. He will be honored with the award on October 29, 2017. On a tiny farm in Washington State, one woman’s floral workshops have become something of a sensation. Today, anyone who argues that photographs can’t be fine art sounds like a crank. Treasures of the medium were displayed in the spring at The Association of International Photography Dealers show at Pier 94 in Manhattan, but New Yorkis a paradise for photography collectors year-round. These six galleries are proof.